Ok, so maybe Montana & Wyoming aren’t really the Wild West anymore. But it’s definitely a whole different world out there! I’ve always found it fascinating to study other cultures & learn how people live in places far & wide. From an early age I found myself drawn to reading & learning about other nations & cultures. As I’ve grown up I’ve realized that even within our own nation there are vast cultural differences. So I thought it would be fun to compile a list of things I learned/observed on our recent vacation to Montana & Wyoming. I wrote a similar post on my Facebook page after our honeymoon trip to Maine a few years ago, & people seemed to enjoy it, so I thought I’d try it again for this trip. Note: this list isn’t going to state the obvious “Holy crap! The mountains are beautiful & there really are bears out here!” That stuff goes without saying. These observations are meant to be more cultural in nature. 1. This ain’t a place for the faint of heart. Much of the rest of this list will explain why. 2. Late September through mid May = COLD. Very cold. BITTERLY COLD. So basically 75% of the year is winter. And I don’t mean the quaint winter wonderland kind of winter. I mean the FREEZING COLD, massive snow drifts, can’t-travel-except-by-snowmobile kind of winter. Yikes. 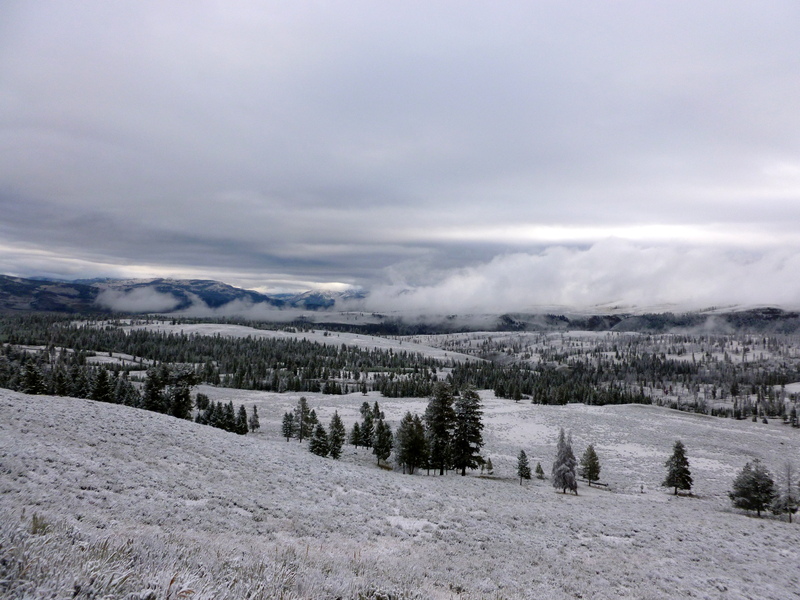 Even in early September, it’s not uncommon to have a bit of snow, as you can see below from Yellowstone. 3. This place is desolate. I thought I grew up in the middle of nowhere & relative to much of the world (certainly the U.S.), I did. But holy crap, Montana & Wyoming are seriously isolated! Montana, the fourth largest state in geographical area, has just over 1 million residents . . . basically the same population as the COUNTY in which I currently reside. Maybe I’m simple-minded, but that blows my mind! Wyoming is also quite large geographically but has less than 600,000 residents, making it the least populated state in the whole country. To give you an example of how isolated these states are, when we landed in Bozeman, MT we went to the local Wal-Mart to gather some supplies for our trip. We then drove about 5 hrs north to a small town near Glacier National Park. It was not until we were within 30 minutes of our final destination that we located another Wal-Mart or any other real grocery store. Certainly we may have passed a few that were off the main roads (if you can call them that) so we didn’t see them, but it is not uncommon for people to live up to 2 hrs away from a real grocery store! Considering the weather issues discussed in the above point, I think you can now fully comprehend my first point. This is not a place for the faint of heart! 4. Cowboy boots & cowboy hats really are everywhere out West. This was my first trip west of Chicago & I wasn’t really sure what to expect. Sure, movies play up the cowboy image, but I always figured that was mostly exaggeration. And I’m sure a good deal of it is. But lots of men (& some women) really do dress like that on a regular basis. I also noticed that it seems much more acceptable for men to wear hats indoors, even larger hats like cowboy hats. In the South older people at least seem to find that rude (for no logical reason, in my mind). But out West this seems to be common practice. Note the 3 men in cowboys boots & hats. 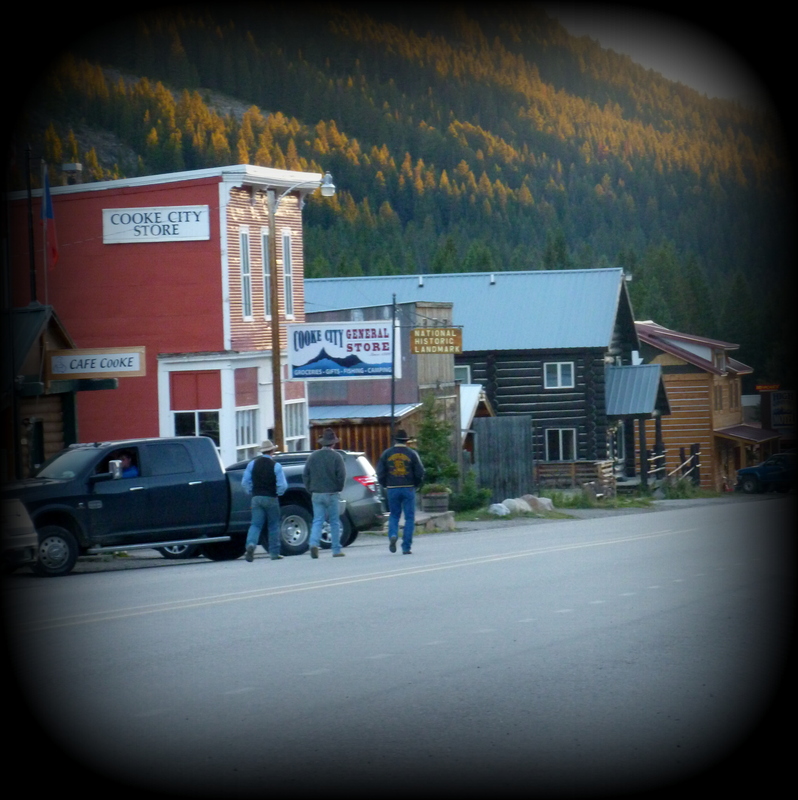 This is Main Street (basically the ONLY street) of Cooke City, MT, just outside the NE entrance of Yellowstone NP. 5. 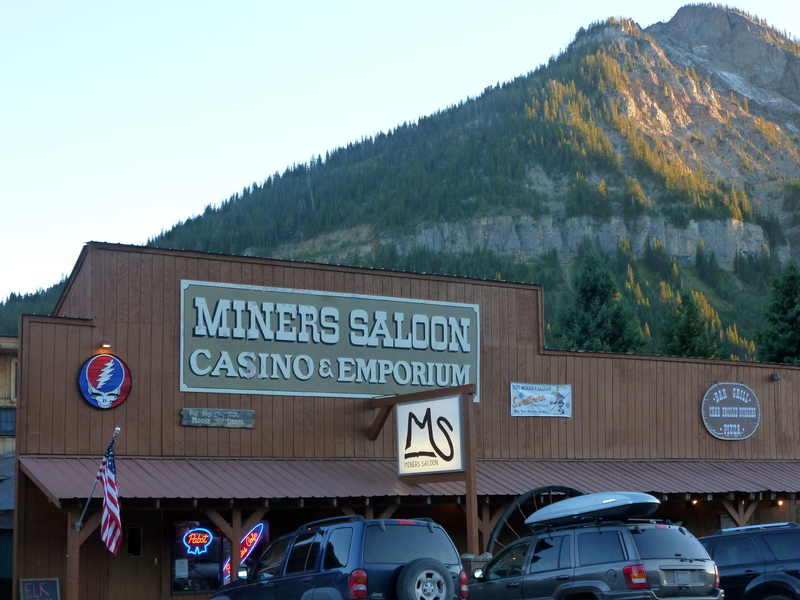 Casinos are EVERYWHERE in Montana. About every other convenience store has a casino attached to it. (And there are a lot of convenience stores.) Granted these are not major Vegas-style joints, but all the same gambling is clearly a much more accepted practice in this area. We overheard a bartender explaining to a customer one night that most of these casinos are just machines that run automated poker, & of course there are slot machines. Anything more than that requires special licensing apparently. 6. There is no sales tax in Montana. Not even on prepared food. Woohoo! 7. The above point may be influenced by the fact that a large portion of businesses in Montana (& possibly Wyoming too) are only open May through September . . . the short but frantic tourist season. If you’re wondering why this is, see point # 2. I’m not totally sure what these people do for income during the winter months. It can’t be easy. See point # 1. 8. Drive around Montana for more than about 30 minutes & you will surely run across at least one white cross on the side of the road. Drive a little longer & you’ll lose count of how many you’ve seen. 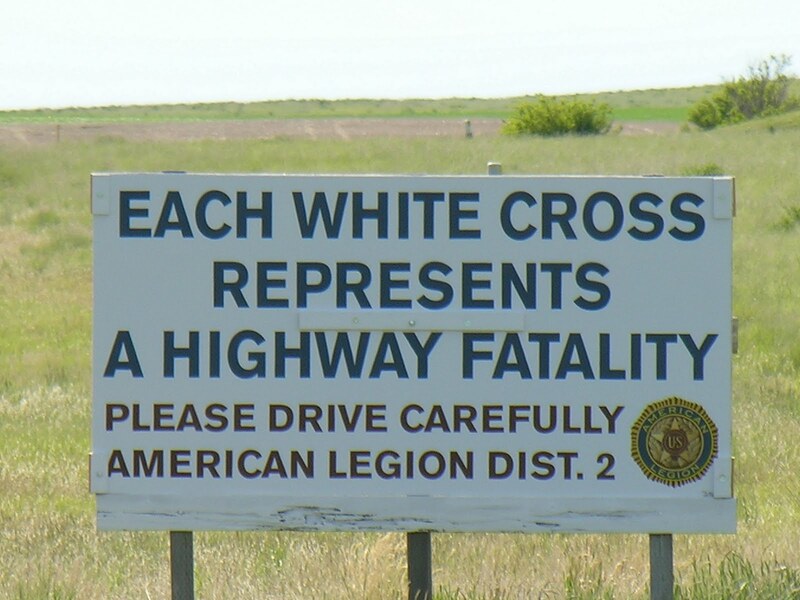 These crosses are markers for highway fatalities & they are placed by the American Legion of Montana. The Legion started the program decades ago in hopes of combating Montana’s very high rate of highway fatalities. (http://247wallst.com/special-report/2014/04/25/states-with-the-most-drunk-driving/3/) states that Montana is # 2 in the country for DUIs. And Wyoming is # 4! If you look at the article you may notice that North Dakota tops the list & South Dakota is also in this shameful top 10. Notice a pattern? All very cold, very rural states with what one can reasonably assume is nonexistent taxi service. And being rural there isn’t a hell of a lot to do except drink. And when it’s brutally cold 75% of the year, who can really blame them for wanting a good buzz? All in all though, it’s a sad picture. 10. Though Montana & Wyoming are both traditionally Republican states (at least from a federal/presidential point of view), the religious conservatism that often goes hand-in-hand with Republican voters does not seem to be quite as strong, certainly not in comparison to the South. We saw plenty of churches, & plenty of Baptist churches at that, but the overall feeling we gathered was that there is a much greater “live & let live” mentality out West. I got the idea that a lot of people may be religious & more traditionally conservative, but I also got the feeling that they are less concerned with enticing everyone they meet to believe exactly the same things they do. In other words there seems to be a greater understanding of the idea that if you want to have the freedom to do & believe as you choose, you have to be willing to grant that same freedom to others, even to those with whom you disagree. Perhaps this is because traditionally people who moved out West did so partially for the idea of being left alone. I could be completely off-base in my observations here, particularly as I have no real scientific way to measure them, but it’s just something I observed that I thought was worth mentioning. 12. From what I observed, there isn’t a very distinctive accent out West, in Montana anyway. I’ve always been very fascinated by linguistics, & I love listening to the way people talk & pronounce various words. Despite being very rural, I did not observe any real “countrified accents” like you encounter in the South. Indeed I was impressed with how clearly & eloquently most everyone spoke. I don’t meant that everyone we encountered seemed like a real genius. But they didn’t sound like your stereotypical hicks either. In fact the only real accent I picked up at all was a bit Canadian if anything, which perhaps is logical as Montana does border Canada. Don’t get me wrong. I love Southern accents & have a bit of one myself at times (certain words, that is). But I also like people to speak clearly & actually enunciate their words, & I make a sincere effort to do so myself. Sadly, this is something a fair amount of Southerners have not mastered. It’s completely unfair that such folks are often judged negatively for such a superficial thing, & yet it is what it is. Ok, I’m back on the South again. Oops. 13. Out West you don’t see a lot of sports cars on the road. Thanks to the winter weather discussed in # 2, massive trucks & SUVs are the law of the land. 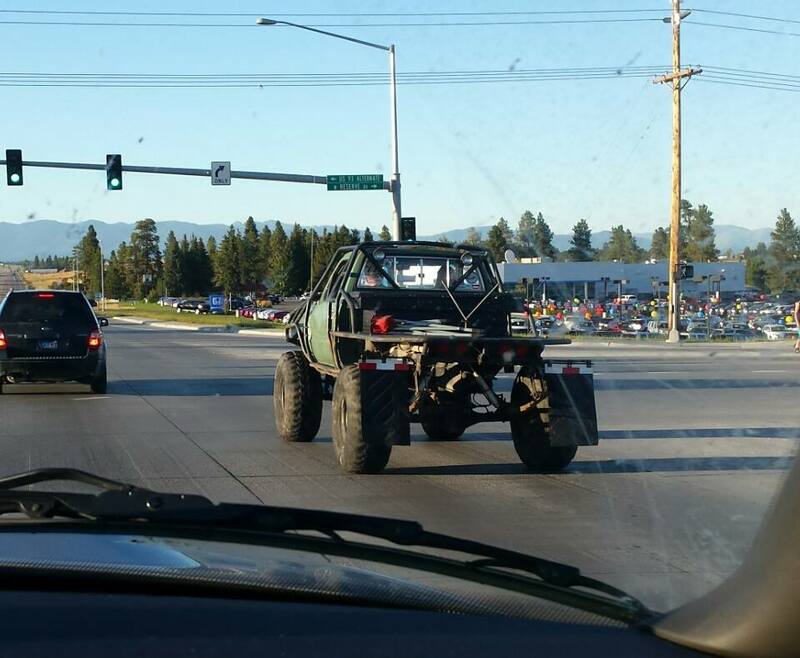 However, it’s also not too uncommon to see some rather, uhh, interesting “trucks” on the road. See below for an example. 14. Montana (& probably Wyoming but we didn’t spend as much time there, at least not outside of Yellowstone) isn’t a good place to be a vegetarian. Not only are there a lot of delightful temptations such as steak, bison burgers, & even elk burgers, but there don’t seem to be a whole lot of places that offer a large vegetarian selection. If you’re a vegetarian & you decide to visit or move to Montana, plan to eat a lot of boring salads or do most of your own cooking. 16. Considering how cold it is the vast majority of the year, it’s really quite shocking to note how many trailers/mobile homes there are in Montana. Can you imagine how cold it must get in those homes during the brutal winters? See point # 1. 17. 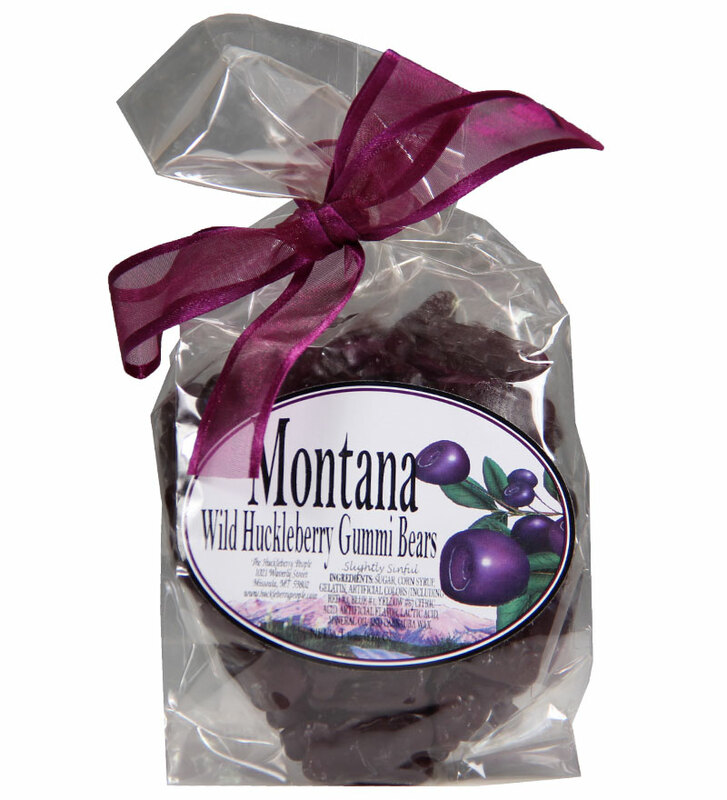 Huckleberries are huge in Montana. Everywhere you go there is huckleberry pie, huckleberry ice cream, huckleberry chocolate/candy, huckleberry-scented lotion/candles/soap/etc. You name it, they’ve got it in huckleberry. The only things I tried were the huckleberry pie & ice cream. But they were both DELICIOUS! Overall, our vacation to Montana & Wyoming was AWESOME. We hiked over 30 miles in total, & yes, I have 4 (healing) blisters on my feet to show for that. But they were well worth it! The mountains & wildlife were gorgeous, the air was clean, the people were friendly [though less likely to tell you their whole life story the minute you say hello, as some Southerners are wont to do ;)], & the food was delicious. It was exactly the type of break I needed from the hum-drum of daily life. Part of me wishes I could live out there in those beautiful mountains, but sadly I don’t think I’m cut out for the cold or the isolation of such rural life. But I shall certainly be looking forward to my next opportunity to visit this majestic, fascinating, & challenging land of the Wild West. To #s 9 & 11… I’m the sole graphic designer for the alcohol industry in both of these states (along with UT and ID), and I’m always joking when people ask me what ny job entails, “Keeping Montana drunk.” Shameful after reading your point about the DUIs! (I design those table tents/posters/menus you probably ordered from at many of those restaurants.) But it was strange to me that most of my accounts so often include “casino” in their name! One reason we can’t call bars bars in the south is because they really aren’t bars… like you said, they’re all mostly restaurants with a bar. That’s because of a law in most southern states mandating that certain percentages of revenue from these establishments must come from food orders in order to keep their ABC license. MT & WY do not have those rules, probably for similar reasons that their religious practices were not out for show… most of those laws in the south exist because of pressure from religious groups. Yes, exactly, so much of the culture in the South is rooted in religion & what appears “proper.” I don’t think you need to feel too guilty about the alcohol thing. If people in Montana, or anywhere else for that matter, drink too much & then decide to drive, that is solely their decision. Where are you from in the south? I knew that the populations were low in those states but I didn’t realize HOW low! I’m from OKC, Oklahoma and the population in our city is a little over 600,000! I always thought that was small but I guess all things considering, it isn’t THAT small. You mention the abundance of trailers and in OK, it’s the same thing. I’ve always found it strange because of our tornadic weather but I guess they are just so much more affordable. I wouldn’t risk it, though. I grew up in a very small town in Virginia (about 12,000 people in the whole county, one high school with about 700 people total. 4 stop lights in the whole county). I now live in the Raleigh-Durham area of NC which is a fairly urban area, at least from my perspective. I think Raleigh has about 400,000 people with 1 million total in the county. It’s a very diverse area in terms of culture/race/ethnicity. Very few people who live here are FROM here so it makes for a very different culture than most of the rest of the South. Which is one reason I love it! And, yes, trailers in tornado country sound quite scary! I was born in Richlands, VA, have you heard of that town? It is the SW part of the state, in the mountains! Yes, in Tazewell, right? I went to college at Radford University which is also in SW Virginia.